The Ergotron Neo-Flex LCD Cart is built for those requiring movement and flexibility when it comes to home or office use for those using a monitor screen. You will be delighted with the impressive work surface which provides you plenty of room for a keyboard, mouse and other important documents. 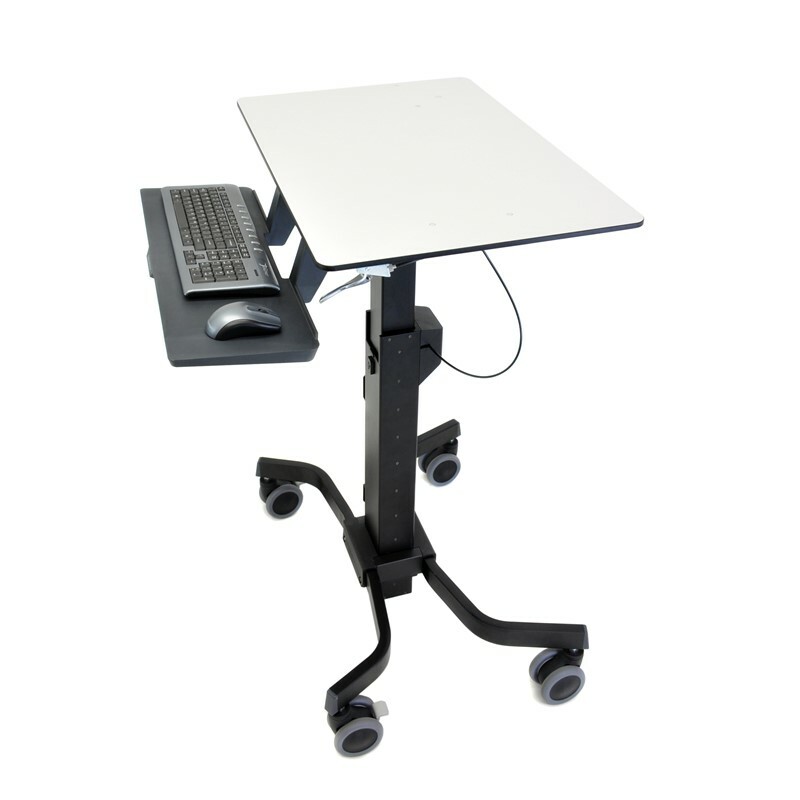 Enjoy a height adjustable LCD arm that allows you to reach your optimal level of comfort in the workplace. 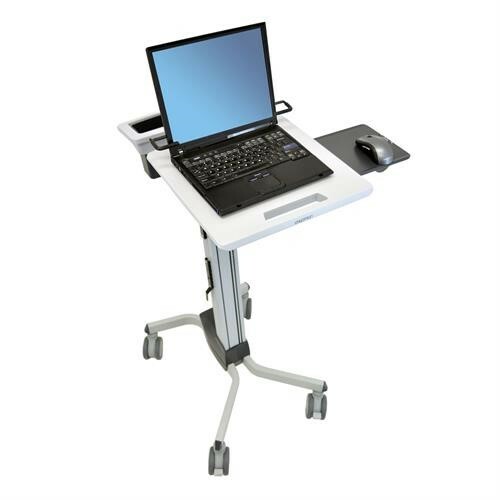 The Ergotron Neo-Flex LCD Cart has an impressive height adjustment of 68 cm that can have you standing or sitting in a matter of moments. Constant Force lift technology does all the heavy lifting, providing a effortless process to stand or sit. Feel secure knowing that the lock brakes on the front wheels will keep you firmly in your desired location. The Ergotron Neo-Flex Laptop Cart comes in graphite/grey colours.